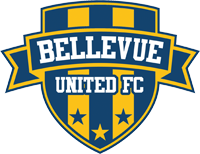 Bellevue United FC, (formerly Bellevue Youth Soccer Club) serves all youth living in Bellevue, north of I-90, west of I-405 and south of Kirkland. 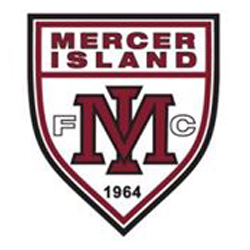 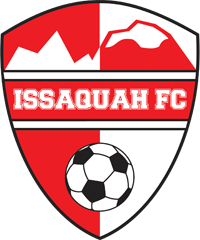 Issaquah FC (IFC) serves youth living in Issaquah within the boundaries of the Issaquah School District. 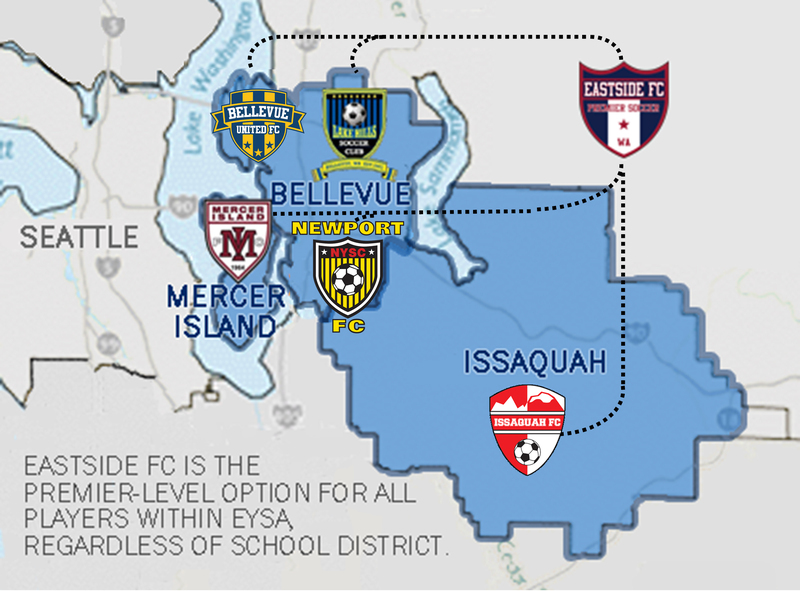 The southern part of the Issaquah School District, however, is included in the GRTYSA area, NOT Issaquah FC, and encompasses the following schools: Apollo, Briarwood, Maple Hills and Newcastle Elementary, Maywood Middle School and Liberty High School. 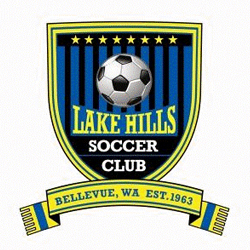 Lake Hills Youth Soccer Club (LHSC) serves citizens living in Bellevue, located north of I-90, east of I-405, west of Redmond and Issaquah, and south of Redmond and Kirkland. 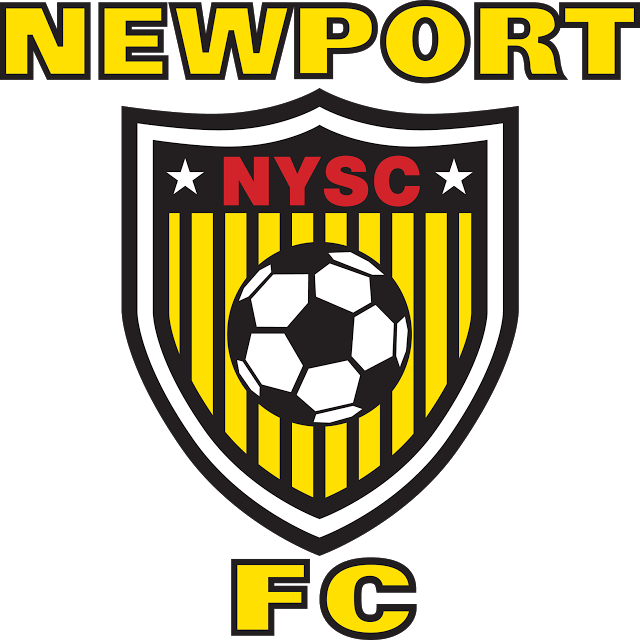 Newport Youth Soccer Club (NYSC) serves youth living in Bellevue located south of I-90, west of Issaquah, and north of Renton. 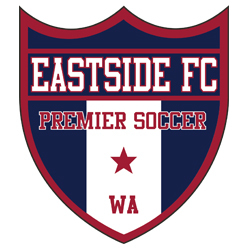 Eastside FC (EFC) is the premier soccer arm of EYSA, offering the highest level of competition in the state's Regional Club League (RCL), as well as the US Soccer Development Academy, and is an option for players throughout the EYSA coverage area, including Bellevue, Issaquah and Mercer Island.